Did you know that the furniture of a classroom can actually affect the way that you learn? 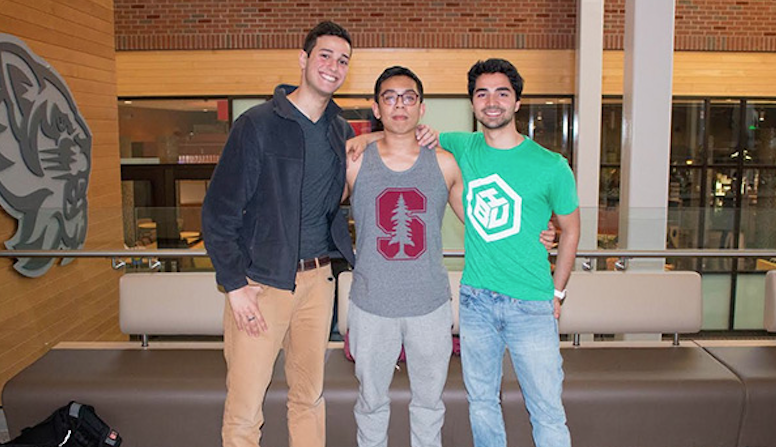 Find out about that and more from the three entrepreneurial Binghamton undergrads recently named part of Stanford’s University Innovation Fellows program! 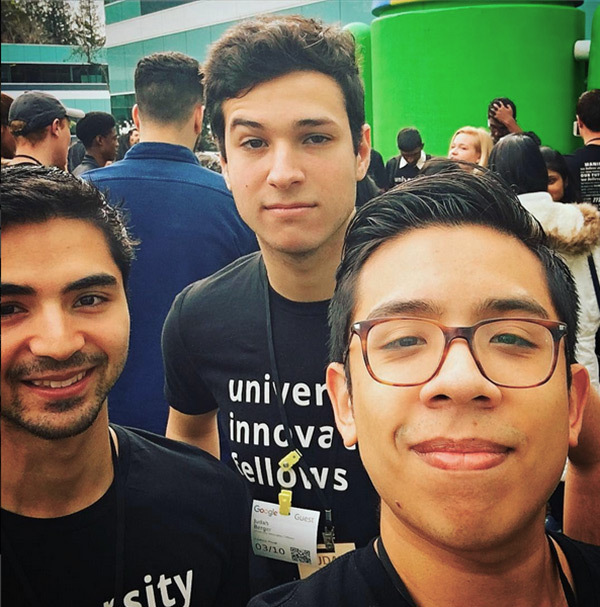 Binghamton students Judah Berger ‘18, Mauricio Morales ‘17 and David Axelrod ‘18 are three of 224 students from 58 higher education institutions in seven countries to be named University Innovation Fellows! 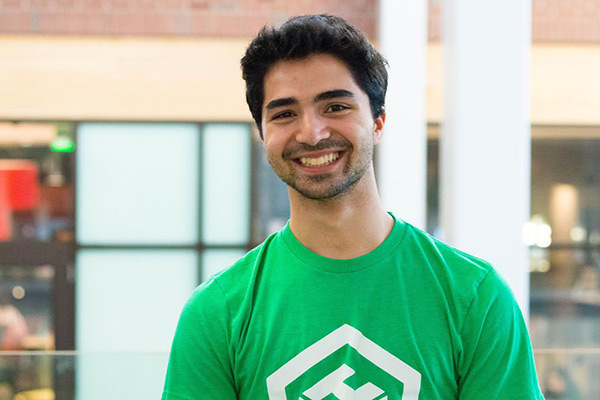 The three met through their participation in Johnson Hall's Entrepreneurship Learning Community, special-interest housing which brings together a variety of students with a common passion for innovation. It was there, on the fifth floor of Johnson, that the bond began between the three. When asked how they decided to apply for the fellowship, David and Judah both immediatly turned to Mauricio. 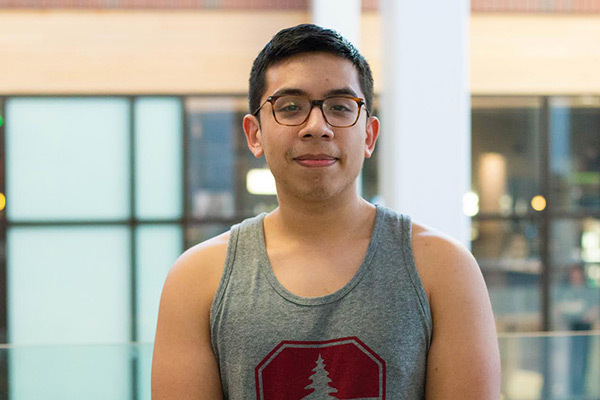 "I was talking to the vice president of the Entrepreneurship & Innovation Partnerships Office, and he told me how no one had applied to this UIF program, and asked me if I was interested," said Mauricio. "I said, 'Of course, I'd love that!' and then he went on to tell me that the application was due in five days.' So in a scramble, Mauricio wrangled the other two students into finishing the application just in time! From there, an intiative was born: The Central Innovation Agency. So, what is the University Innovation Fellows? University Innovation Fellows is a global program that empowers students to expand creative, innovative and entrepreurial engagement on campus. The program is run by Stanford University’s Hasso Plattner Institute of Design, also known as the d.school. University Innovation Fellows training prepares student leaders to create new opportunities on their campuses which foster the creative, problem-solving mindset necessary to thrive in today's competitive workforce. "We've created an organization called the Central Innovation Agency, which connects different entrepreneurial-minded students that don’t know how to get involved. We found that while we do have a lot resources on campus, one of our issues is that a lot of students either don’t know about them or aren’t getting the help that they really need." That's where the CIA comes in! David explained how the team brought back several methods from their training experience at Stanford, "from activities at the beginning, to how to structure discussions.” The CIA offers a range of activities, from pop-up innovation classes, to smaller, more intimate group discussions. 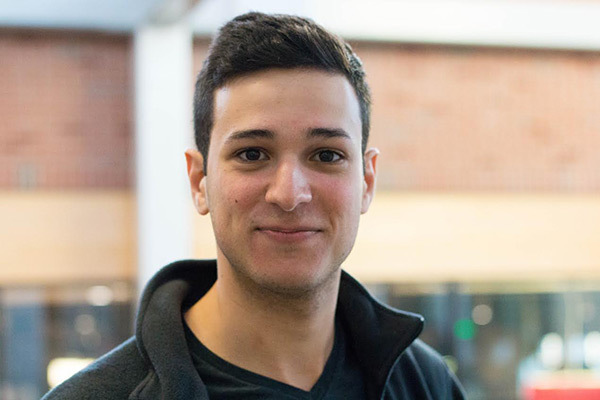 David described one of their more recent events, which he coined “Entrepreneurs Anonymous,” where students circled up to share their ideas and the fellows used their knowledge to point them in the right direction, in order to bring those ideas to fruition! The team also believes that even changes to the classroom setting could have a large impact on the way in which students learn. They raised the point that classic classroom setups have become antiquated, in the way that students are simply “part of the furniture,” passive learners in seated positions. Instead of regular chairs, Stanford’s "design thinking" proposes stacked cube seating, which forces students to sit up in a tall, nearly standing position. Judah said that they learned firsthand how this seemingly minor change to a more active position allowed for greater engagement, creativity and a natural flow of ideas. What advice do you have for fellow entrepreneurial students? The Binghamton Central Innovation Agency at Google's Global HQ. Photo from @bingtrepreneur. David: “You should always have something to show people, even if you don’t intend on showing people.” He mentions how keeping track of your progress, like logging your running times, can serve as a motivational tool. "If you can directly see your improvement, then it encourages you to continue on that trajectory of success." To learn more about the Binghamton Central Innovation Agency and the Entrepreneurship Learning Community, check out the videos below! Also, follow @bingtrepreneur to stay updated on all the entrepreneurial events happening around campus. Sofia Villela is a senior and native of Albany, N.Y., interning with the University's Office of Media and Public Relations. 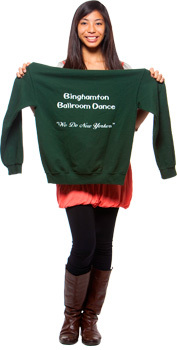 On campus, she takes part in women's club soccer and The Rhythm Method a cappella group. Off campus, she takes part in dance parties with her housemates and FaceTimes with her dog, Frida.